Charles Band’s Full Moon Empire is headed to AFM to showcase their bumper catalogue of classic and new films, and announce their 2017 slate. 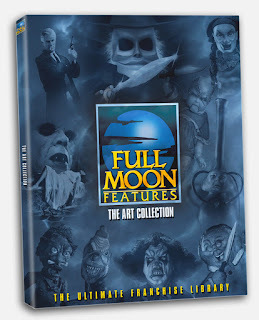 “The largest and most unique fantasy/horror film library on earth!” comes to Santa Monica in November as Full Moon present their entire catalog to buyers. For the first time ever, the legendary label will showcase their unique 250+ fantasy/horror library via an amazing, collector’s edition art book. The 80 page, 8x12 book will feature numerous images per page from every title in the catalog with a small 150-character logline under each film – ensuring the focus is on the beautiful art. These super high-end, heavy books will be available to legit buyers and will be available at bookstores later in the year. You’ll find Full Moon at Loews (#750) where the room will be draped in black and feature 4-5 large poster boards with images of 150-200 films. Upcoming for Full Moon are "Killjoy’s Psycho Circus," "Ravenwolf Towers - episode one" and the highly-anticipated "Puppetmaster: Axis Termination."